The dress is slim and backless. The dress features spaghetti strap and fishtail hem. 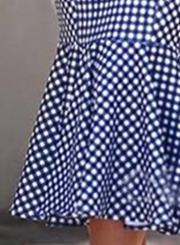 The dress features plaid. The dress is perfect for date and daily wear.